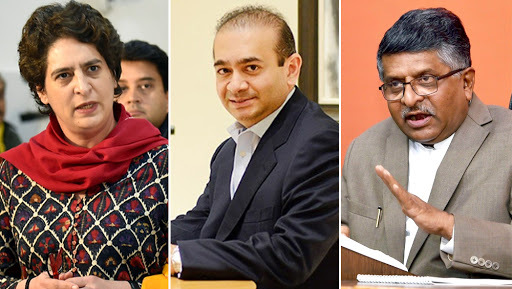 Expressing his opinion on the arrest of Rs 13,000 crore PNB scam accused Nirav Modi in London, Union Minister Ravi Shankar Prasad stated that BJP government delivered its promise of arresting the fraudster, hiding in the foreign land. Prasad even took the help of a famous Bollywood film superhit dialogue ‘Don ko pakadna muskil hi nahi, namumkin hai’ (not only its difficult to catch Don, it’s impossible) and turned into – ‘Chowidar se bachna muskil hi nahi, namumkin hai’ (Its; not only difficult from a watchman, but it’s impossible). Nirav Modi to be in Jail Till March 29 as London Court Rejects His Bail. Earlier, the Westminister court of London rejected the bail plea of the diamantaire who offered a 500,000 pounds security for bail and sent him for eight-day custody. It is to be known that Modi holds a dual passport - one from India and other from Belgium. In the court, he had said that he has a wealth of proof in his defence and feared that there is a chance of deportation if in case he is declared a fugitive. Modi has also refused his consent to extradition.